WITHOUT a doubt, the establishment of the Asean Free Trade Area (Afta) in 1992 and six Asean Plus FTAs were the catalysts for Malaysia to undertake domestic reforms. As one of the founding members of AFTA, Malaysia had earlier coined the idea for an East Asia Economic Caucus (EAEC) as a response to the growing regionalism of the North America Free Trade Agreement, European Union and Asia-Pacific Economic Cooperation. Malaysia initially viewed Afta as a building block towards the realisation of EAEC and represents a collective voice in multilateral trade negotiations under the Uruguay Round and, subsequently, the Doha Development Agenda. But, when Afta was signed in January 1992, Malaysia knew that domestic reforms must take precedence over tariff elimination. The signing of Afta structurally changed Malaysia’s import tariff structure. The tabling of Anti-Dumping and Countervailing Duties Act 1993 in the Malaysian Parliament in May 1993 marked the country’s first foray into deepening its import tariff cuts. At the time of tabling, the Customs (Dumping and Subsidies) Act 1959 (Revised 1988) was insufficient and inconsistent with General Agreement on Tariffs and Trade (GATT) rules on subsidies and dumping of cheap foreign imports. Prior to the Anti-Dumping and Countervailing Duties Act 1993, as explained earlier, the government had raised import tariffs to protect domestic producers. Such strategy would have contradicted the obligation to reduce tariffs under the Common Effective Preferential Tariff (CEPT) scheme. As a result, excise duties took the centre stage as a balancing act to import tariff reduction. In December 1995, the government tabled the Customs Act in Parliament, which marked the beginning of import tariff reduction to honour Malaysia’s obligation under the CEPT scheme. The bill was tabled to amend Customs Duties (Goods of Asean Countries Origin) (Common Effective Preferential Tariff) Order 1994, Customs Duties Order (Amendment) (No. 4) 1995, Customs Duties Order (Amendment) (No. 5) Order 1995 and Customs Order (Temporary Anti-Dumping Duties) 1995). Malaysia’s involvement in Asean also assisted the government in modernising the services sector, which has been the largest contributor to the Malaysian gross domestic product for decades. In 1970, the share of the sector was 34.9 per cent and it grew to as high as 54.2 per cent in the first quarter of this year. The services sector’s steady growth rate is largely due to its continuous role in supporting the rise of heavy manufacturing industries since mid-1980s. In this regard, Malaysia’s services sector reform is a combination of two main factors: one, its commitment resulting from services-related agreements, and two, the autonomous liberalisation initiatives to spur investments post-Global Financial Crisis (GFC) 2007/2008. Of the two, the Asean Framework Agreement on Services (Afas) is arguably the most elaborated liberalisation plan that encompasses commitments of 101 services sub-sectors, as per the Ninth Package. In fact, Malaysia’s commitment under AFAS is even deeper than her offers under the Trans-Pacific Partnership agreement. It can be argued that Malaysia’s ambitious commitment in Afas is due to two main factors. Firstly, Malaysia does not seem to face great competition in services from Asean member states apart from Singapore, Thailand and Indonesia. And, secondly, there is little pressure for Malaysia to ratify its Afas commitments as Asean is not a supranational entity. As a result, there are gaps between regional obligation and actual practice at the national level, particularly in the banking and life insurance licences even though the sector allows for a full foreign ownership. Malaysia’s experience in Afas has led to the move to autonomously liberalise its services sector to the rest of the world. In April 2009, Malaysia fully liberalised its 27 services sub-sectors that went above and beyond its offers under Afas. Many of these sub-sectors have minimal or zero local influence. It was initially intended to boost investments after the second economic-stimulus plan worth RM60 billion that was introduced to cushion the impact of GFC. At the same time, it was also meant to complement the government’s bottom up reforms via the National Transformation Plan. In addition to trade and services reforms, Asean also contributed to Malaysia’s active involvement in negotiating investment agreements. It started from the signing of 1987’s Asean Agreement for the Promotion and Protection of Investments, which subsequently laid the foundations for the Framework Agreement on the Asean Investment Area (AIA) and, later, Asean Comprehensive Investment Agreement. The basic ingredients of Malaysia’s investment agreement must at least cover the basic principles of market access, promotion and investor protection. 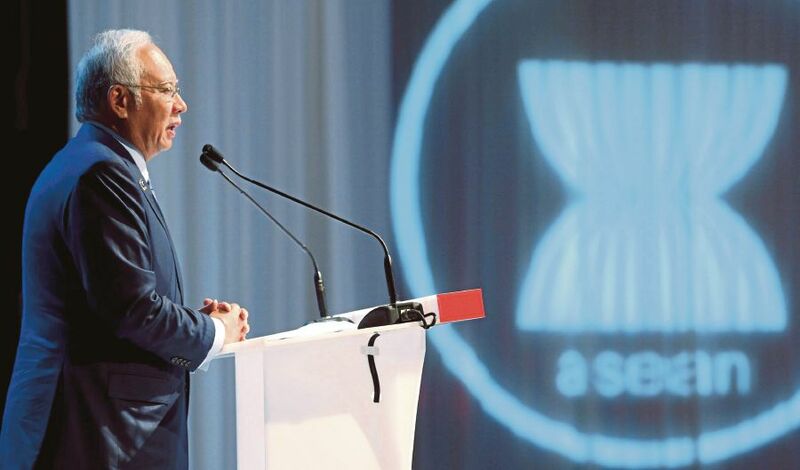 Malaysia capitalised the experience in negotiating the AIA as the template to negotiate subsequent regional and bilateral-led investment chapters. Asean also enabled Malaysia to review many of its interventionist policies starting mid-2000s. Due to commitments under the Japan-Malaysia Economic Partnership Agreement and Asean’s CEPT Scheme, Malaysia had to shift her indirect tax revenue from import tariff to excise duties and sales tax, most notably on petroleum and automotive products starting April 2000. Despite Malaysia’s active involvement in various plurilateral and bilateral FTAs, Asean remains as the country’s deepest economic commitment to date, at least in the traditional FTAs areas. Asean, a model for Central Asia?